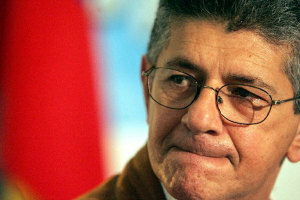 Our old friend Henry Ramos Allup is at it again, claiming that ideological differences within the opposition’s MUD are not a big deal, because Chile’s Concertación was made up of socialists, marxists, and Christian Democrats. Only … that’s not what the Concertación was about at all. Marxists were specifically excluded from the Concertación, and to this day they do not belong to the alliance. In fact, the Concertación has always been reluctant to be identified with the Communists, because this would mean losing the political center. The only parties that were members were the center-left Socialist, PPD, and Radical parties, and the Christian Democrats, who were center or center-left, but certainly not center-right. Ideological differences within the Concertación were relatively minor. I hope that this is just a case of a journalist misquoting a politician. The alternative is that either Ramos Allup doesn’t understand the basics of the example he is citing, or that he’s lying. Next articleThe INE Household Survey: Have It!